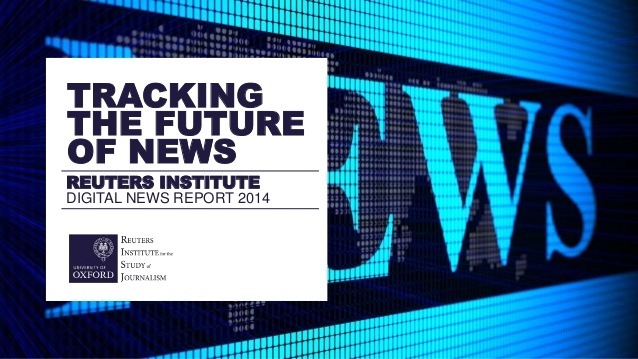 The Reuters Institute Digital News Report is an annual report from the Reuters Institute for the Study of Journalism, based at the Department of Politics and International Relations at the University of Oxford. It is the largest ongoing comparative study of news in the world with surveys conducted in 26 countries to track the transition of the news industry towards an increasingly digital and multi‐platform future. 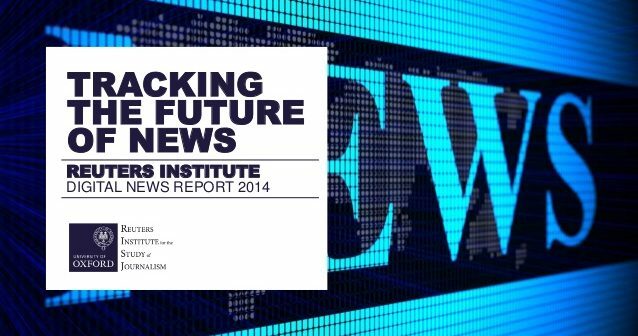 The report examines evolving consumption trends and attitudes towards news media including perceptions of trust and willingness to pay for news. Funded by the BAI, FuJo is the Irish partner for the project. For the 2017 report, DCU FuJo and the University of Canberra added new questions to track the role of political disintermediation on social media. The Irish chapter of the 2017 report was launched on June 22nd. Read the Irish chapter of the 2017 report. Read the Irish chapter of the 2016 report. Read the Irish chapter of the 2015 report.